Situated at the bank of Ganga river, Patna of the 17th century had been a important commercial centre. It exported different goods like sugar, saltpetre for gun powder, indigo, musk from Bhutan, lac, cotton, etc.., the pace accelerating by the establishment of British factory from 1650 to 1657. With the decline and subsequent fall of Murshidabad, the court artists looked westwards to the next biggest city in the East and started migrating to Patna. 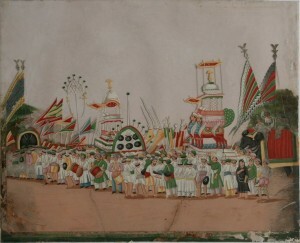 By 1750s, many of those artists had settled in Patna with their families, and under the patronage of local aristocracy and often Indophile scions of the early East India Company, started a unique form of painting which came to be known as the Company School, or Patna Kalam. According to Dr. Abid Hadi, the way of executing a work of art or custom of expression or capability of expression is Kalam or Style. 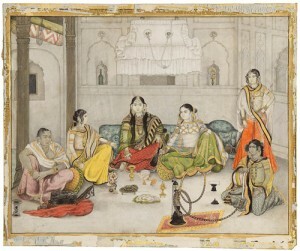 Patna Kalam soon developed its own style and identity by stepping out of royal courts and focusing on depicting the lives of the common people. 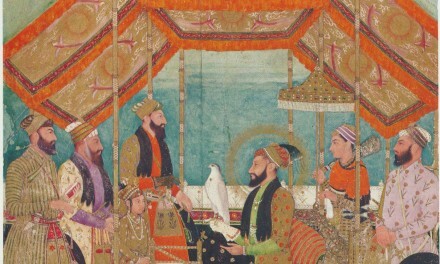 It was perhaps world’s first independent school of art to do so. 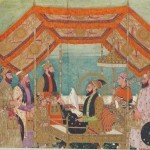 The painters of Patna Kalam were settled in the areas of Deewan Mohalla, Lodi Katra and Macharhatta in town and by 1770s, the style was firmly established. 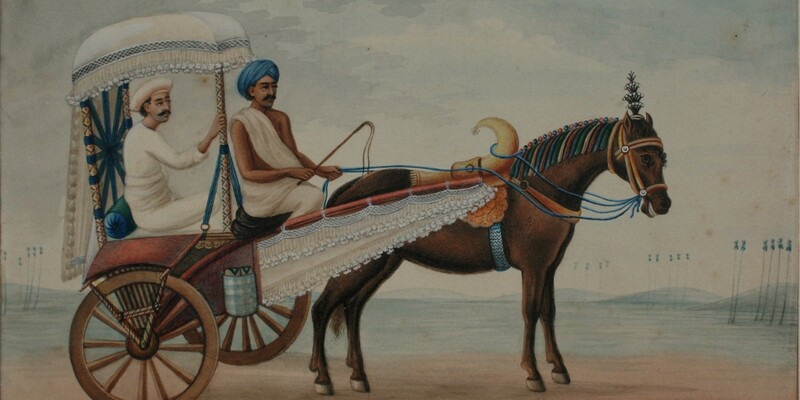 These artists used to paint ‘sets of caste occupation’ known ‘Firka’, based on everyday life – washer-men, hawkers, bangle sellers, butchers, fish seller, carpenters, washer man, baskets seller, distillers, etc., and not Royals became subjects of these paintings. 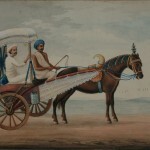 Patna painters were exploring the European market and trying to adapt their style to the tastes of the Europeans who greatly respected its versatility and competence. 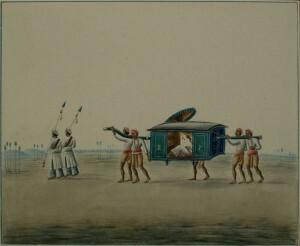 While this demand for these miniatures of ordinary life in India was being established, and served as a pictorial documentary of the life in those times. 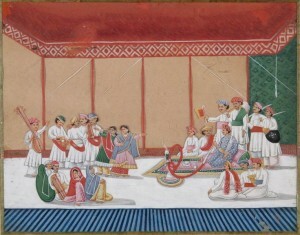 Throughout the 18th and 19th centuries, miniature portraits on paper, vellum, bone, and later, ivory, were the fashion with the upper and middle classes. The main characteristics of this collective style are the brilliance and definition of its colour combination, with very little shading, only a faint modeling with stripling, and little blending of colour. The composition are of brilliant colours and their relation one to another is remarkable. 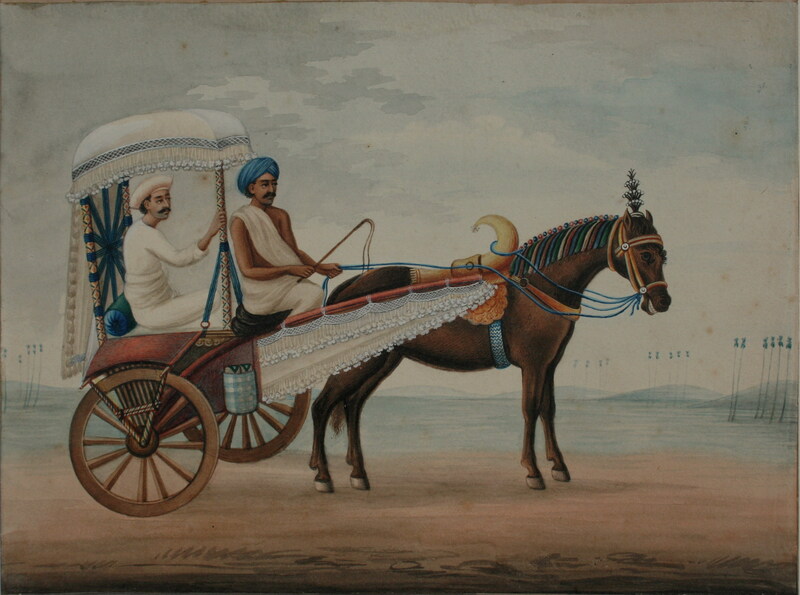 While retaining the grace of the Mughal style, Patna Kalam decided to remain simplistic in nature. 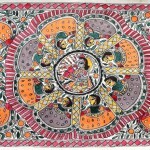 Though most of the artists of the Patna Kalam remain anonymous, some names are known to us – Jhumak Lal, Nityanand Lal, Fakir Chand, Tunni Lal, Shiva Lal, Hulas Lal, Ram Sewak and Shyam Bihari Lal among them. Nisar Mehdi was popular for portraits and landscapes, while Hulas Lal used ‘his naturalistic figures as the material for organic rhythm’. 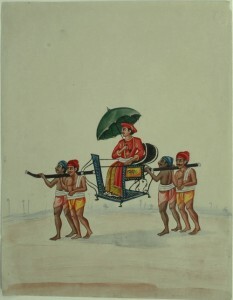 The fall of Patna Kalam coincided with the fall of the British Raj. 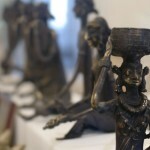 Like other vernacular art forms of Bihar, it saw a decline in the new socio political order and is almost extinct today; efforts of its revival often being mere lip service. Different article references from newspapers, journals, souvenir and websites. An IT Project Manager from Pune, India and an avid blogger. I am passionate about travel, photography, cinema and books. 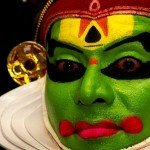 I blog on Shadows Galore, Art House Cinema, The Mutinous Indian and Antarnaad.